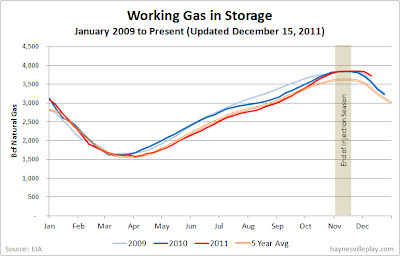 The weekly EIA working gas in storage report showed a 102 Bcf net withdrawal last week, bringing the current storage level down to 3.729 Tcf. The weekly withdrawal was 34% below last year (-154 Bcf) and 28% below the five year average (-142 Bcf). 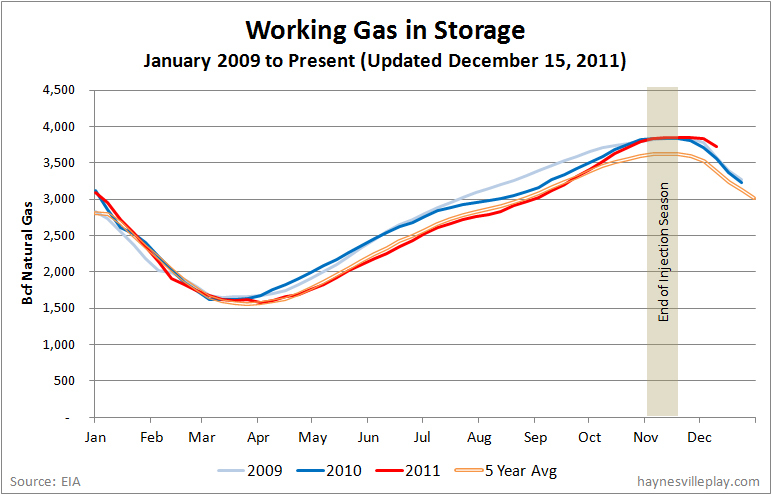 As a result, the current storage level is now 4.3% higher than last year and 10.3% above the five year average. Since September, storage levels have been creeping up to record levels, and with the slow start to the withdrawal season it will be hard for storage levels to get back to average without a protracted cold snap.